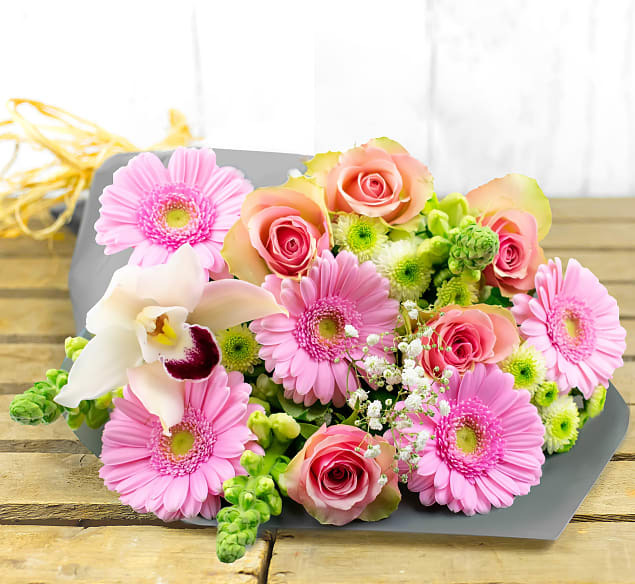 The soft colours of the flowers in this bouquet accents make this bouquet a truly thoughtful gift. Our florists have hosen a selection of Snap Dragons, Germini flowers, Santini Ferry Chrysanthemums, Kenyan Pink Jewel Roses, Gypsophilia, Pittosporum, and Orchids. 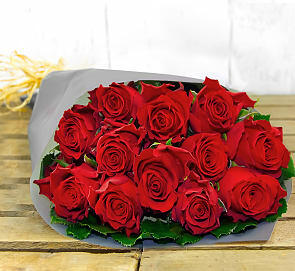 This bouquet would make the perfect gift to send as a birthday, anniversary or any celebration gift.